Experience the Hohe Tauern National Park in a variety of ways, and save money! Upon your arrival at Smaragd-Hotel Tauernblick in Bramberg in Wildkogel our guests reseive the Nationalpark Sommercard Mobil free of charge. 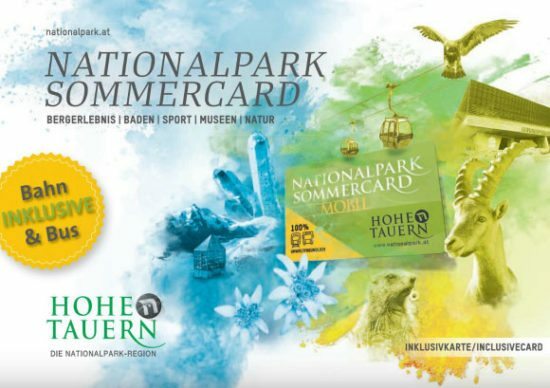 This means you receive more than 60 free offers and discounts throughout the Hohe Tauern National Park region. You can select the daily-free offer from any category or receive discounts on all other available activities. Furthermore, the premium card offers free transportation benefits.